It's always bittersweet when the Olympics come to an end, and the wait until the next games seems interminable. 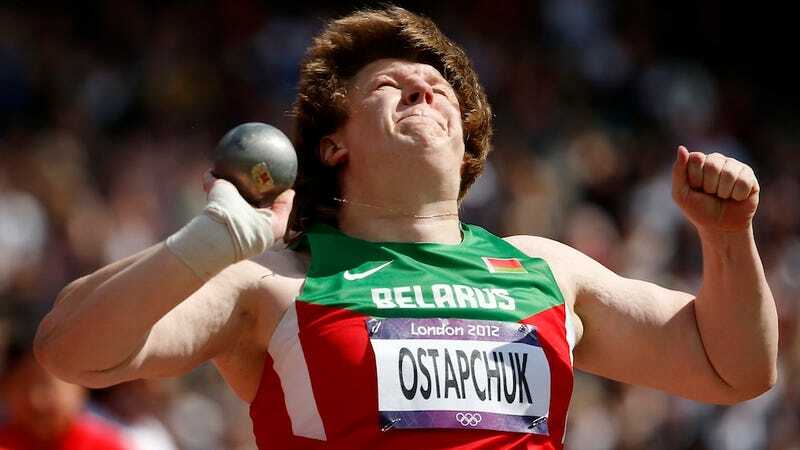 But take some solace in the knowledge that the coming weeks and months will be rife with failed doping tests and legal battles, and the current medal count is no more permanent than a Belarusian shot putter's T/E ratio. Ostapchuk's disqualification means an unexpected gold for New Zealand, and China is bumped up onto the podium. That brings the Chinese total to 88, a distant second, but slightly less distant now. They're gaining on us! It had been a remarkably clean Olympics, with just a handful of athletes failing drug tests in the run-up to the games, and an American judoka who claimed he accidentally ate pot brownies was the only athlete to be kicked out of competition. Chalk it up to the IOC's highly publicized plan to test fully half of Olympians, plus all medal winners. That, or the dopers have once again taken the science lead over the testers. But this is why samples are frozen and subject to testing for eight years. The 2012 Olympic results won't be set in stone until well after the torch is extinguished in Pyeongchang. American Judo Fighter Kicked Out Of Olympics For "Inadvertently" Eating Food "Baked With Marijuana"